Visitors are being urged to avoid going to a Berkshire hospital after an outbreak of norovirus. 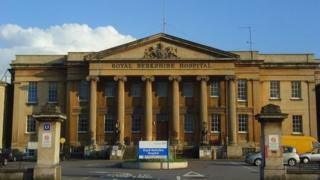 The Royal Berkshire Hospital, in Reading, said the "winter vomiting bug" had been found on a number of wards. People with symptoms are being advised not to visit friends or family in the hospital to stop it spreading. The hospital imposed similar restrictions due to norovirus in May 2016, January and April 2013 and February 2012. On its Facebook page, the hospital said: "Norovirus, also called the winter vomiting bug, is a stomach bug that causes vomiting and diarrhoea. "It can be very unpleasant, but usually goes away in about two days." Anyone experiencing the symptoms is urged to keep away from the hospital until at least 48 hours after recovering, to "help protect our patients, visitors and staff".